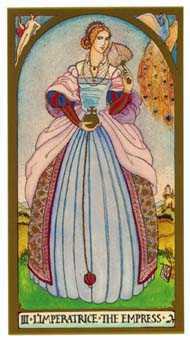 Look for opportunities to be generous, warm, and nurturing. 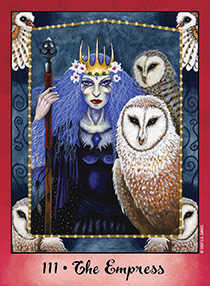 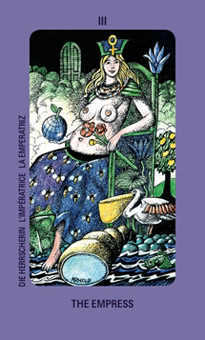 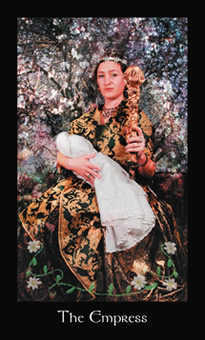 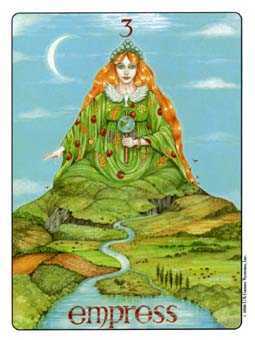 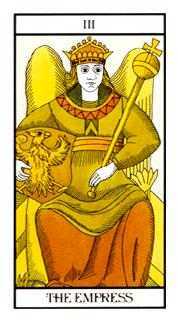 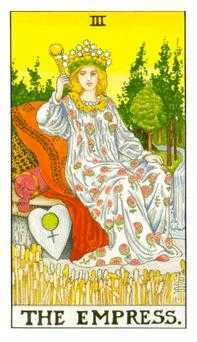 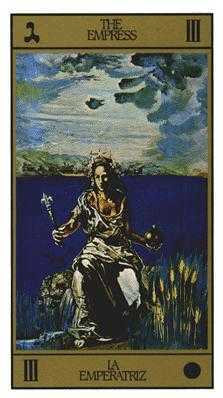 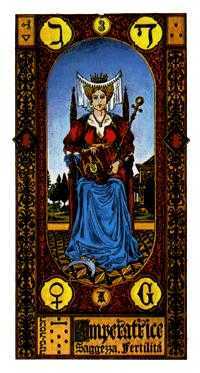 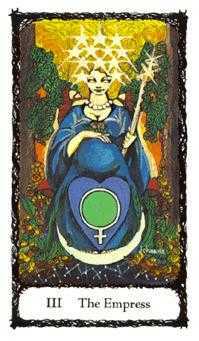 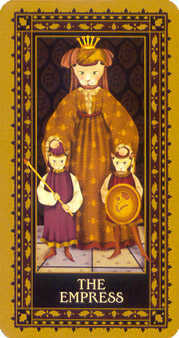 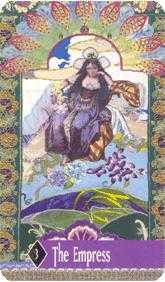 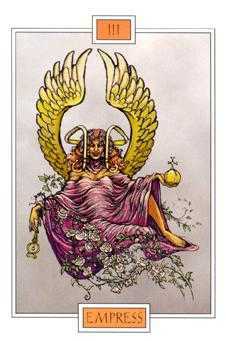 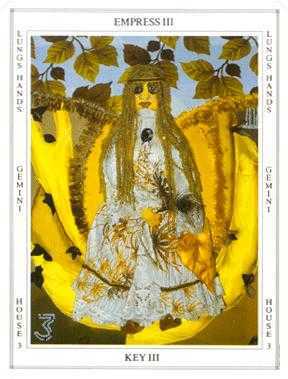 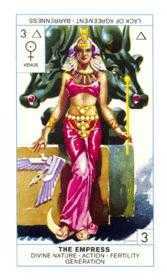 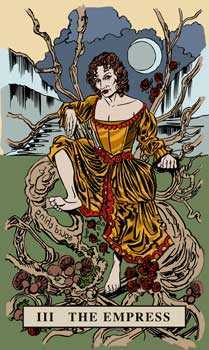 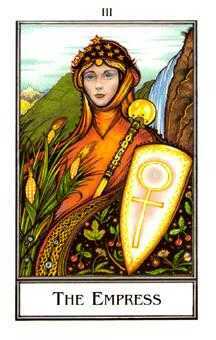 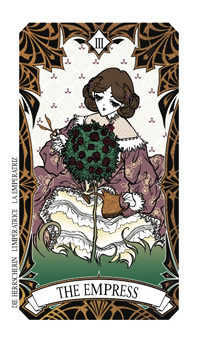 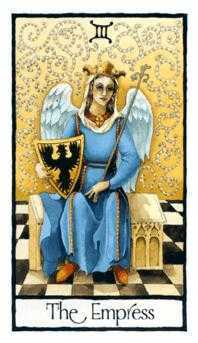 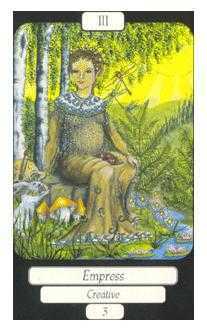 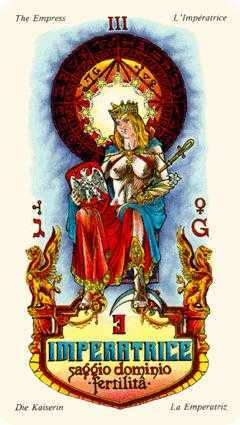 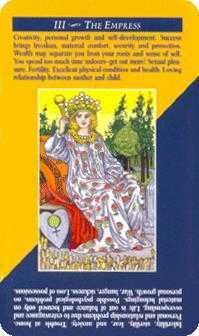 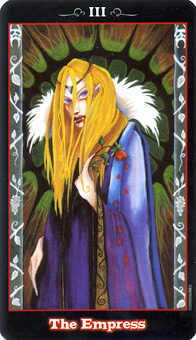 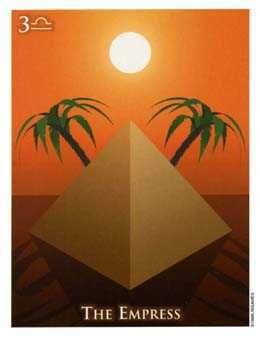 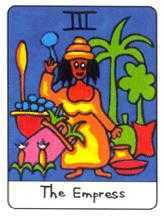 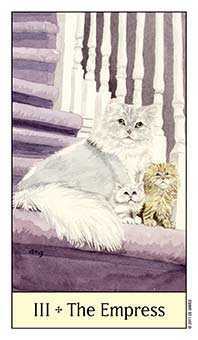 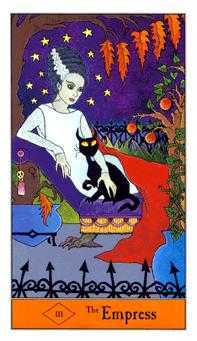 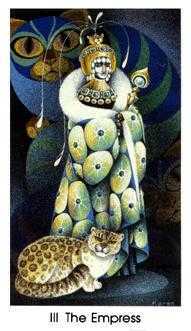 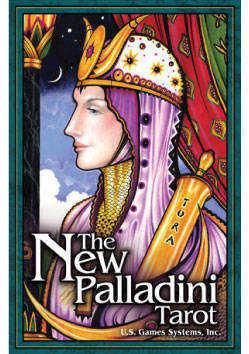 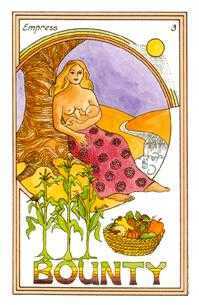 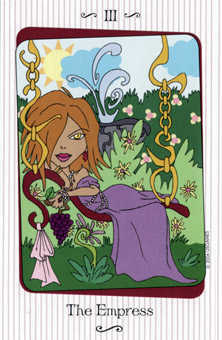 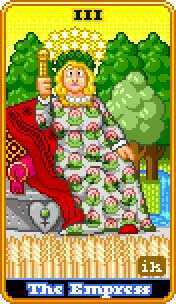 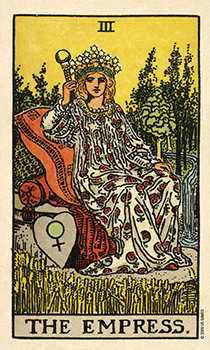 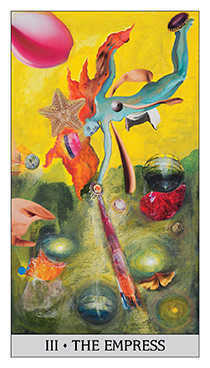 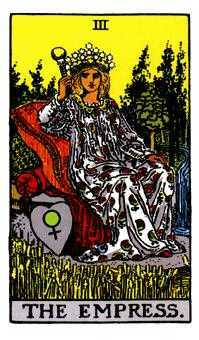 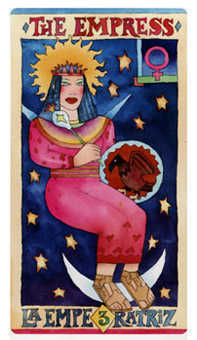 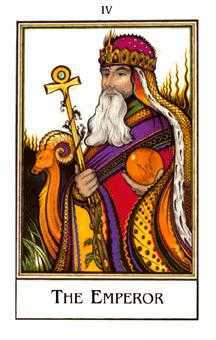 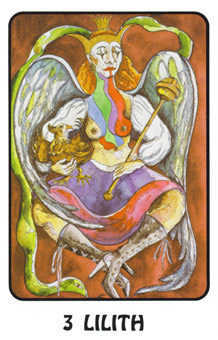 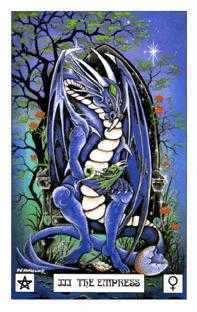 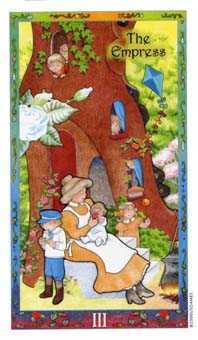 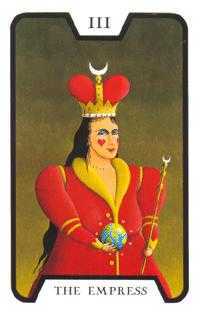 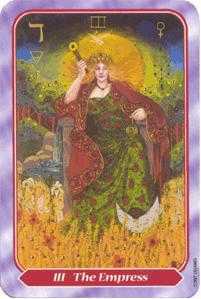 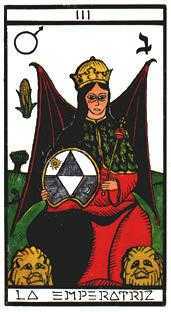 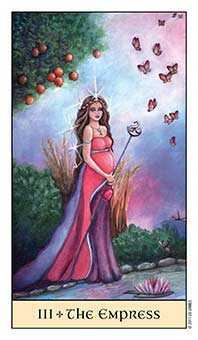 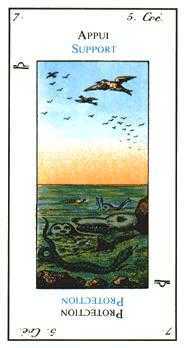 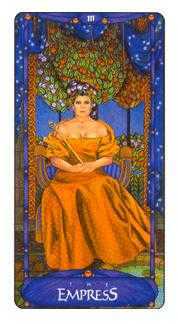 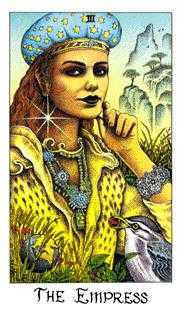 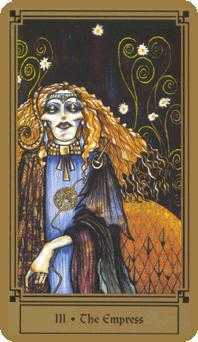 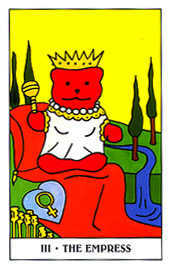 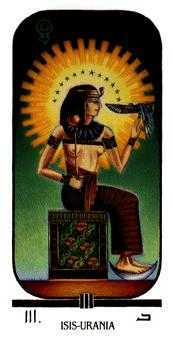 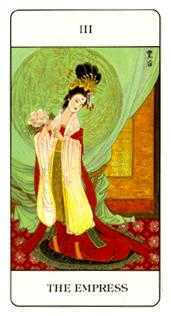 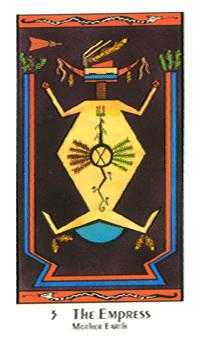 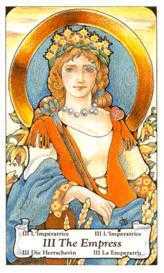 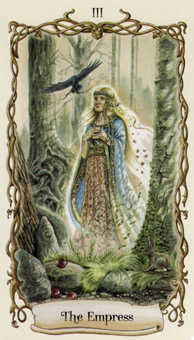 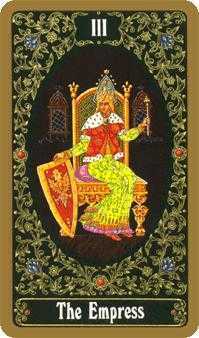 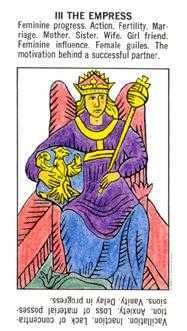 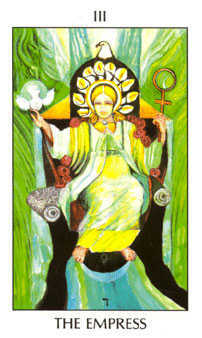 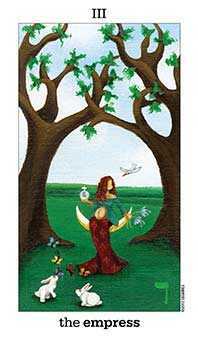 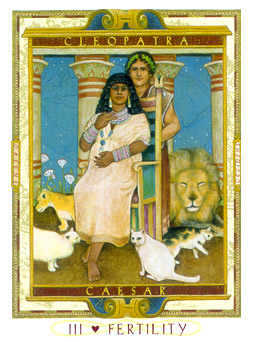 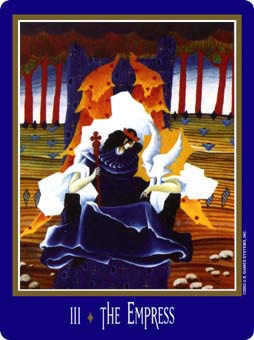 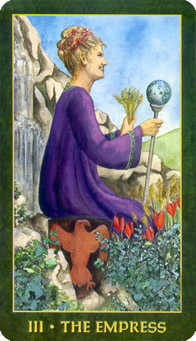 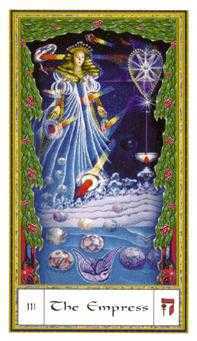 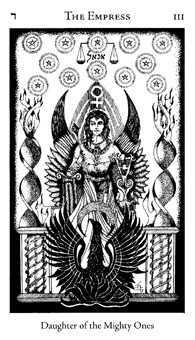 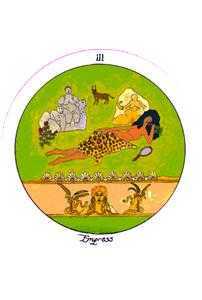 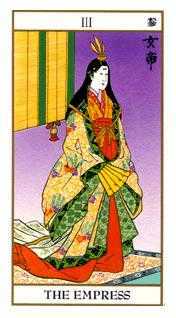 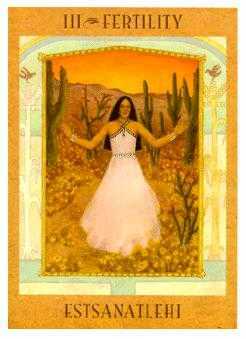 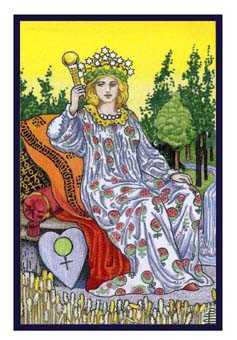 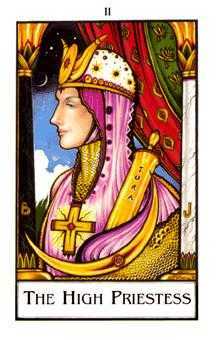 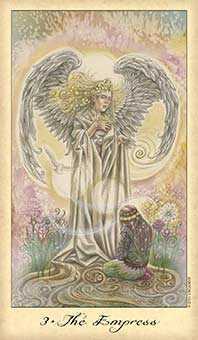 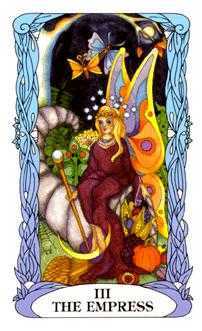 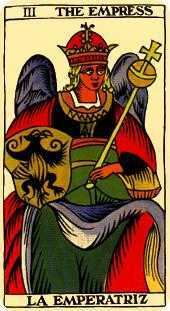 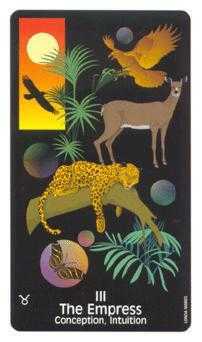 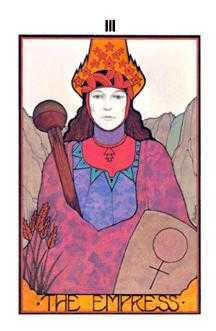 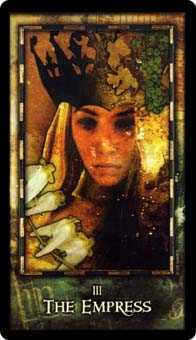 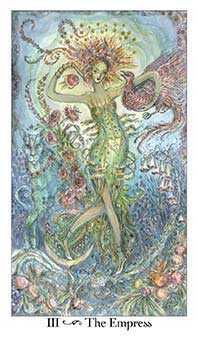 The Empress is a Major Arcana, or "trump" card, that portrays the energy of the great mother. 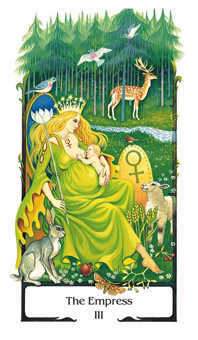 She is nature, around us but also within us, the ever-unfolding source of life-giving power. 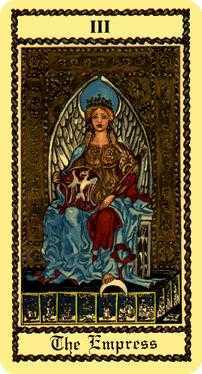 The Empress is often pictured as a pre-Christian Goddess, as the one whom The High Priestess is channeling down to Earth for the rest of us. 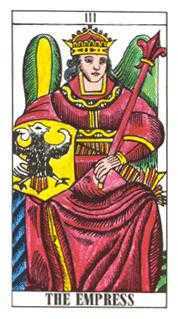 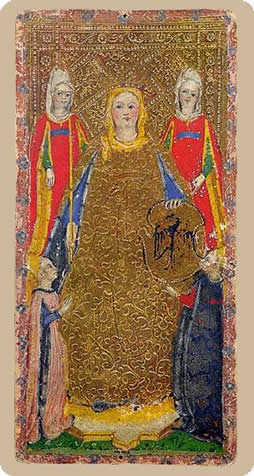 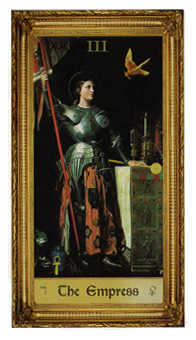 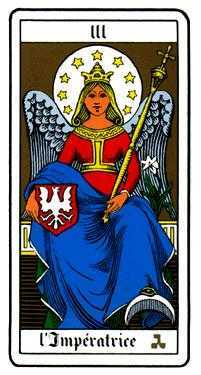 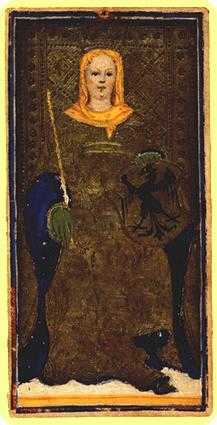 In medieval Europe, The Empress card was painted to represent whatever queen currently ruled the land, probably to satisfy the Inquisitors. 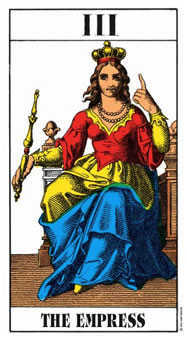 But the scholars of the Renaissance and beyond had no doubt of her true identity -- she could not be fully revealed on Tarot cards as "the woman clothed with the sun" until after the French Revolution. 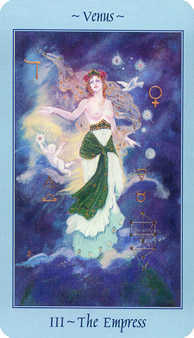 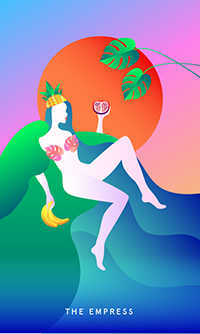 This supreme archetype of femininity also symbolizes fertility. 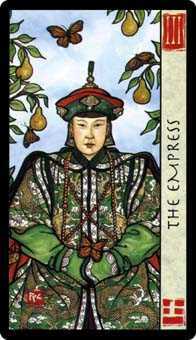 It is The Empress who provides us nourishment and security. 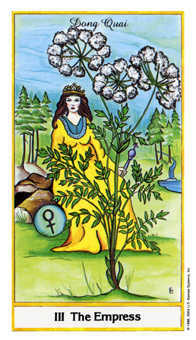 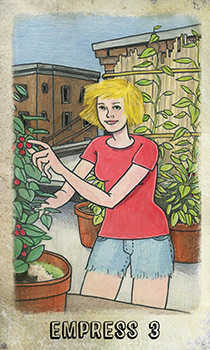 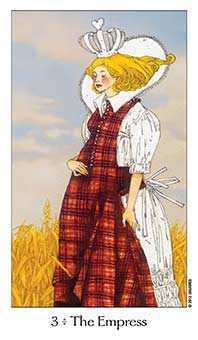 She is also sometimes seen as delighting us with flowers and fruit. 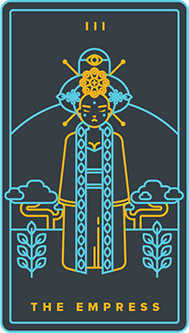 A potentially terrifying aspect of this archetype manifests itself whenever karmic mood swings wipe out our plans, like a storm that has come upon us. 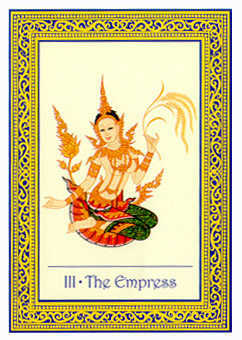 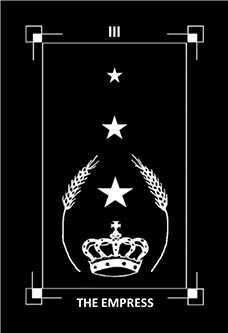 Whatever happens, The Empress is the source of our embodiment and of natural lLaw. 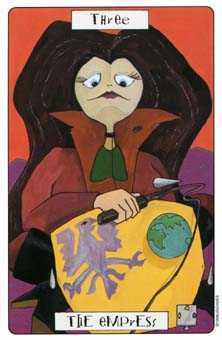 She might even be called "The Great Recycler." 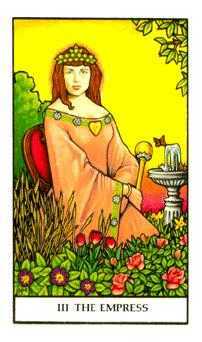 Rather than being tough on yourself for not measuring up, know that your positive influence has facilitated favorable outcomes. 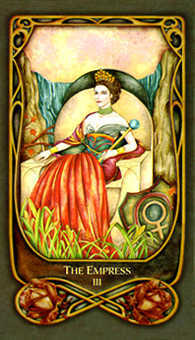 The Empress advises you to trust in the good sense you have shown up to this point. 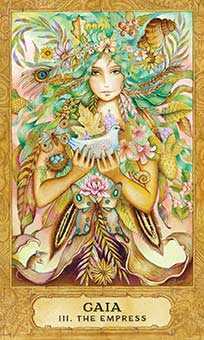 Recognize your good intentions in carrying out your responsibilities as a compassionate human. 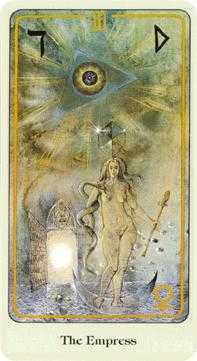 You are capable of demonstrating the finest aspects of your personality. 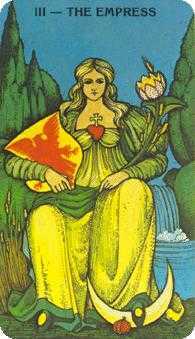 Demonstrate this through caring actions, a forgiving and generous attitude, and wise understanding of others' needs and struggles. 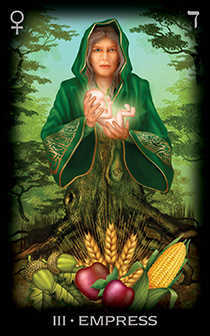 Bring a healing influence to the current situation and take full credit for the supportive part you play.